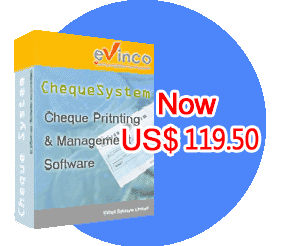 ChequeSystem software prints your cheques completely. 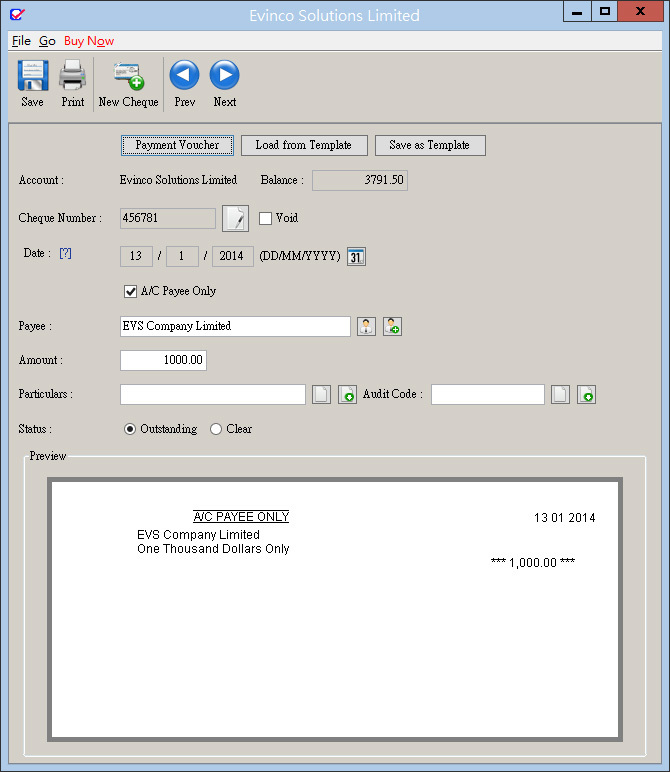 It can print payee, date, amount, "a/c payee only" and all others. 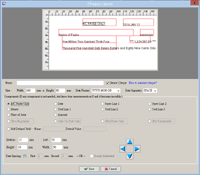 Put your cheque into the printer and print with ChequeSystem software. 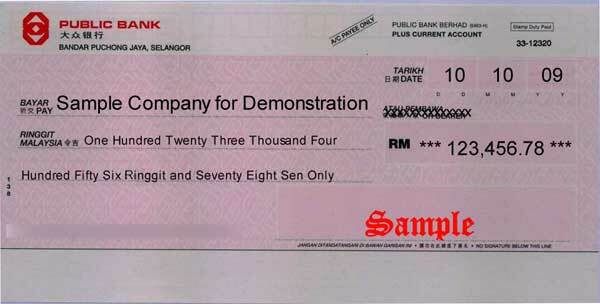 The cheque is ready to issue once signed. Batch printing function makes your cheque issuing process even simpler. ChequeSystem provides powerful cheque book management. 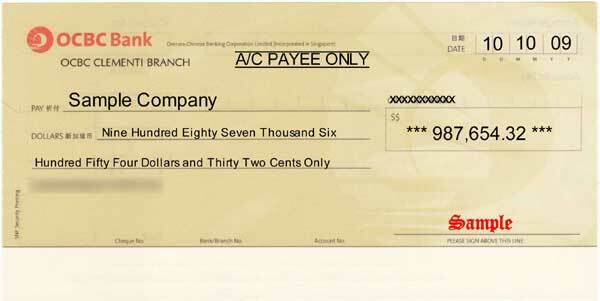 You can review all the issued cheques at anytime you want. Multiple cheque books are supported to fit your needs. ChequeSystem provides two reports: Account Report and Payee Report, which provide comprehensive queries on date, cheque books account and payee. Monthly Statement lists out all the deposit and withdrawal (cheque issue) records of the cheque book by month. 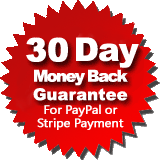 "This is a very useful piece of software that has improved our business record-keeping dramatically. The most obvious benefit is that it produces printed cheques that are constantly legible and this ensures that we are able to manage the issue of cheques in accordance with banking procedures." "All the things are kept in records, we don't need to care about the stub or make photo copy on the issued cheques." Supports Laser, InkJet, & Dot-Matrix printer. 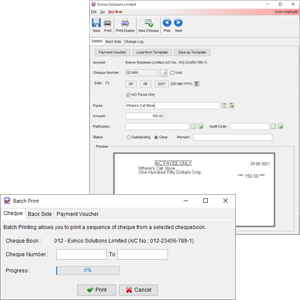 You can also create your cheques first and use the batch printing function to print a sequence of cheques in batch. 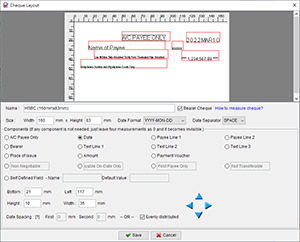 ChequeSystem software also provided Payment Voucher , which can be added to the cheque. All issued cheques are kept in records. 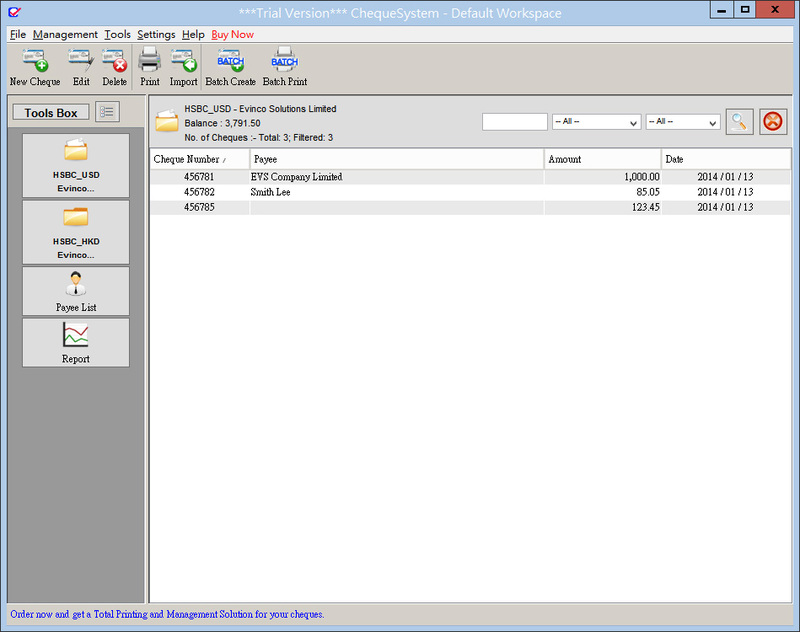 You can add notes and audit code on the cheques for internal use. The friendly search function in cheque book help you locate cheque easily. 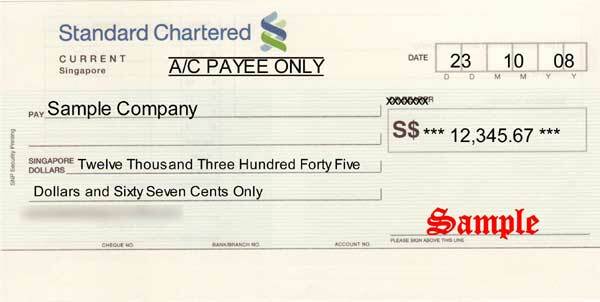 You can save cheque information as cheque template for those frequently issued cheques. The template can be recalled which make your cheque preparation easier. 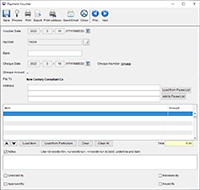 Organized Payee List allows you to load the payee information into the cheques with a single click. 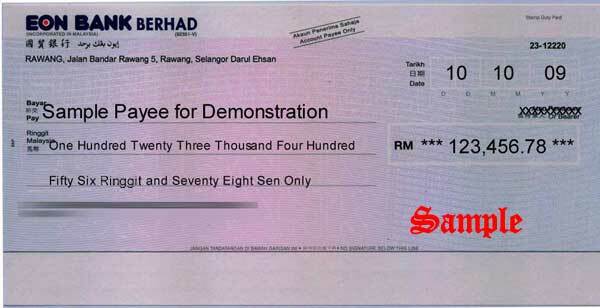 You can prepare your cheque even faster and easier. 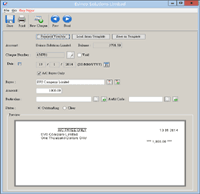 Account report generates Cheque Summary on cheque book for any time range. Your cheque book history are always ready. Monthly statement is provided to show the cheque records by month. 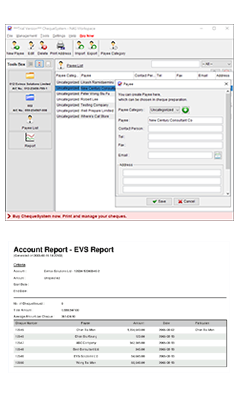 All the reports can be exported into HTML/Excel/PDF format. You can share the report in HTML or PDF format. If you want to have a further analysis, you can export the report into Excel format. 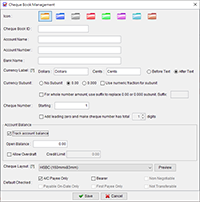 You can create multiple cheque books in the software to fit your different bank accounts. ChequeSystem supports multiple companies. 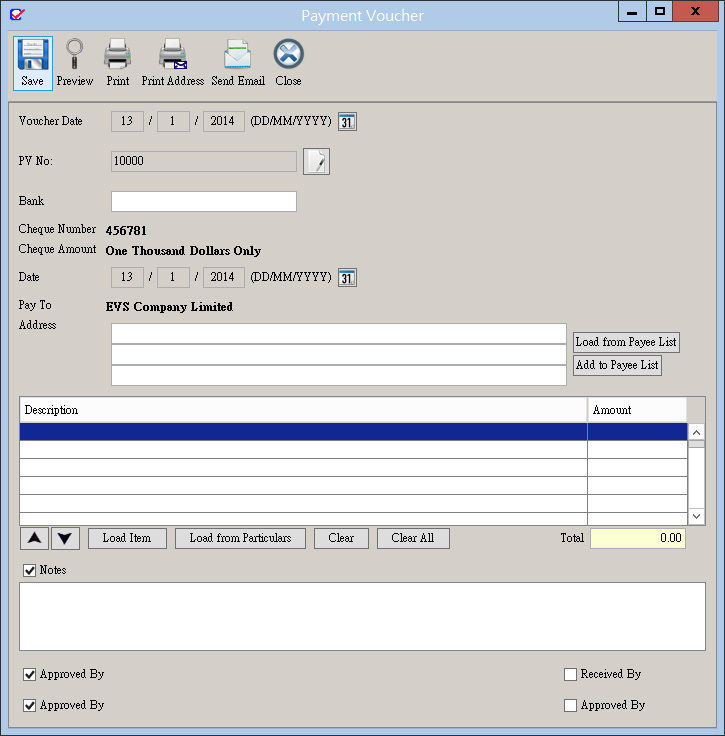 You can set different workspaces for different companies and process the cheques separately. You can change the currency unit from Dollar/Cent to Pound/Sterling, Dinar/Fils or any you want. ChequeSystem support different numbering systems: Standard, French and India. 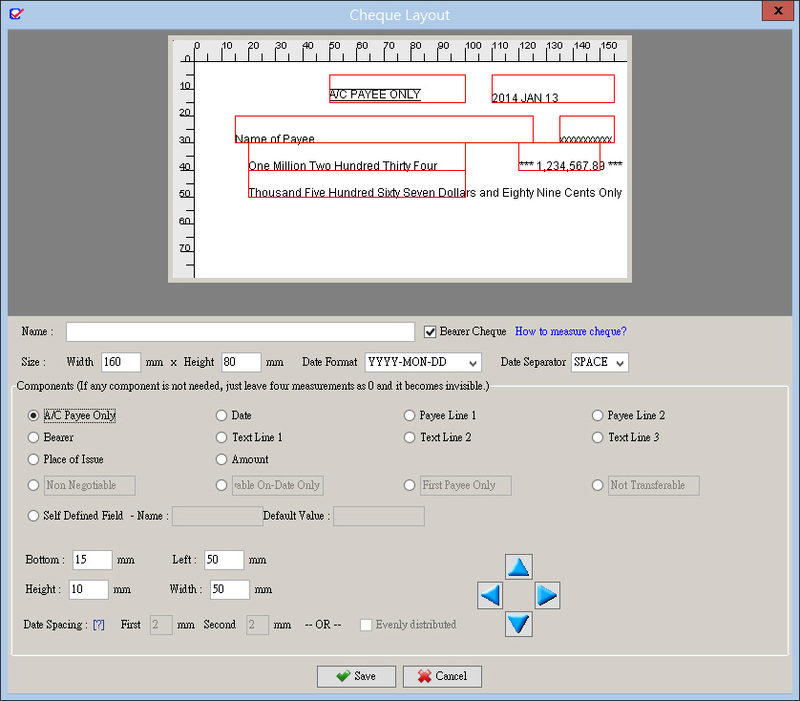 ChequeSystem software are built with over 100 cheque layouts from different banks. You can simply pick from the layout list and fit your cheque. 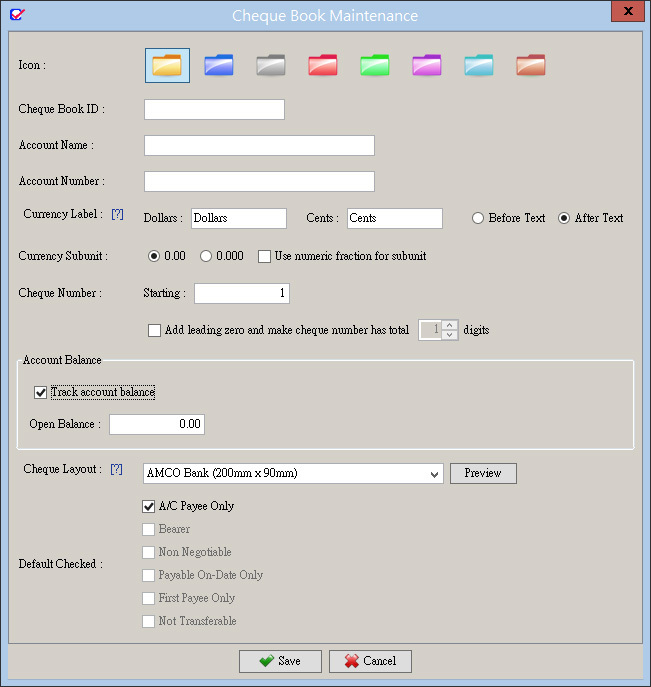 If you cannot find your cheque layout from the list, you can create your own cheque layout with the help of "Cheque Layout Design Tool". 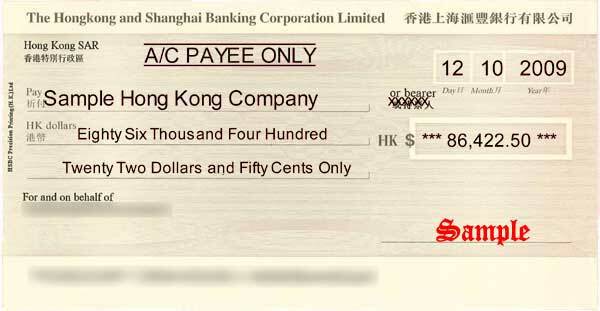 How to measure cheque layout? The downloaded file is named chequesystem-setup.exe (66.3MB). The downloaded file is named chequesystem-installer.pkg (83.2MB). Once download is complete, double click on chequesystem-installer.pkg to install. After installation, the software can be found in Launchpad. - One Time fee. No monthly fees and your license never expires.